DrySnap rain deck by Archadeck of Columbus. We’d all love to spend our summer days in the garden, reading a book by the pool or just taking in the fresh air with a cold ice tea on our patios. But often times we forget to think about the risks of spending too much time outdoors in the sun without proper protection. Numerous medical complications like Melanoma and Cataracts can occur when sun protection is disregarded. Disregarding the sun’s damaging rays are nothing to take lightly. These serious complications have life threatening concerns that need immediate attention. Melanoma occurs when the pigment-producing cells that give color to skin become cancerous due to overexposure to sun or sunburn. Broad-spectrum sunscreen is used as a temporary protector against the sun but is frequently only applied once throughout the day which becomes inefficient over time if you plan to spend a full day outdoors. The month of July is observed as National UV Safety Awareness month. Archadeck of Columbus wants to ensure you are worry free when it comes to spending time outdoors. Instead of spending your time indoors in fear of the damage UV rays may cause, invest in long-term protection for your backyard. 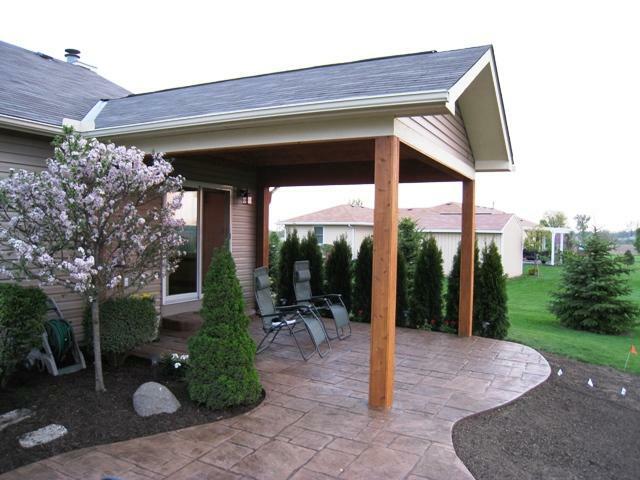 Archadeck can help protect you and your family by adding a covered patio, screen porch or a 3 or 4-season room addition. Whether you enjoy gardening or sitting in the breeze to read a book these are perfect options to get you the ultimate protection while still enjoying the freedom of being outdoors. Covered patios and screen porches offer a shaded more private area for you and your family to escape to during lunch when the heat is in full swing. Even with an existing hardscape patio, Archadeck can custom design a covered structure over the top to help provide proper UV protection. With a screen porch you get triple protection. Screen porches provide the benefit of sun protection but also becomes a defense against allegans such as pollen and mosquitoes and other nuisance insects. Adding a 3-season or 4-season room is like taking a piece of the outdoors and bringing it inside. A 3-season room can be designed and built with an Eze-Breeze® window system. Eze-Breeze® allows your outdoor structure to quickly switch from glass windows to screen panels letting in the cool Columbus breeze. 4-season rooms are designed with HVAC systems to keep you cool in the summer and warm in the winter. These additions protect you from direct sunlight while still being able to enjoy the panoramic views of your backyard garden and landscape with floor to ceiling windows. It is fairly easy to forget to follow the standard recommendations for sun protection such as continuously adding a strong broad-spectrum sunscreen or wearing sunglasses throughout the day. That is why Archadeck of Columbus wants to help you and your family with long-term sun protection by adding a covered patio, screen porch or a 3-season or 4-season room onto your backyard. Contact Archadeck of Columbus today at (740) 879-3730 or via email at westcolumbus@arcahdeck.net to get out of the sun by designing your custom outdoor structure. We would look forward to connecting with you! Is your Columbus backyard facing Due West? Here are some ways to be made in the shade. 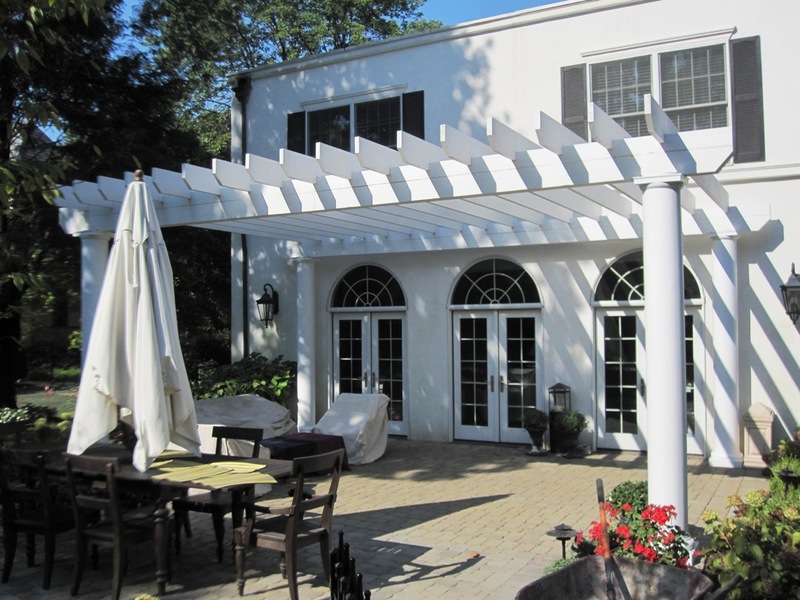 Pergolas add shade and definition to any outdoor space. Do you love a little shade for those lazy afternoons or cookouts in your Columbus yard? Well, there are dozens of ways to be made in the shade. The key is to create the right kind of shade for your home and its orientation. From there, you need to consider how you want to use your Columbus outdoor living space and how the new addition will impact your outdoor living area. If the rear of your home faces to the south or west, you will be in direct sunlight during the evening when most people like to use their yards for grilling, relaxing or maybe dip in the pool. For easy, breezy protection from the sun late in the day, you can choose a permanent structure like a gazebo or pergola or use something adjustable like a shade or umbrella. Our new Casuwel line is a fun, flexible, decorative option that uses the Sunbrella line of fabrics and you can easily coordinate your umbrella to your other outdoor furniture. Look closely at how the siding on the end of the gable of this covered porch matches that of the existing house. maintenance, but they can easily steal the show from a visual perspective. You control how much shade you create with your pergola by choosing the type and number of slats used across the top. Angling the slats with the sun’s trajectory in mind works brilliantly. If you really want to stay out of the sun, an open air porch may be the answer for you. Or you might enjoy a newer option we are installing more frequently each year: the Shade Tree canopy. It’s a retractable awning that you can extend from the side of your house whenever you want to take the edge off the heat. They are highly effective, offering 80-100% sun protection. It’s also easy to mix and match options to offer different kinds of sun protection in one yard. If you have the space and the interest, you can easily have a Columbus open porch, a pergola and an umbrella or shade in your yard. One important design consideration you don’t want to overlook is the impact your outdoor living project will have on the interior of your home. If sun pours in the windows from the back of your house, adding a porch, shade or pergola may change that. This can be a good thing if you want to decrease your cooling bills, but it might be a problem if you like having that light streaming into your kitchen. Archadeck of Columbus can visit your house for a free consultation to take a look at your home’s orientation and discuss the best shade options for you and your family, based on the way you want to live. Call (740) 879 – 3730 or email us at westcolumbus@archadeck.net. We look forward to hearing from you. Author archadeckofcolumbusPosted on April 15, 2015 Categories Shade optionsLeave a comment on Is your Columbus backyard facing Due West? Here are some ways to be made in the shade.